E3! One of the craziest times of the year. We get new games, new announcements, and DLC everywhere. It’s no different for the teams at Bethesda, and at their press event, they announced a brand new DLC (and patch) for the under-appreciated Prey. The patch that dropped at the same time as the new DLC added a few things fans have been asking from the game. ‘New Game Plus’ is by far the most exciting to me, as it allows you to jump back in with all of your upgrades intact. The patch also added a story mode and survival mode to the game. 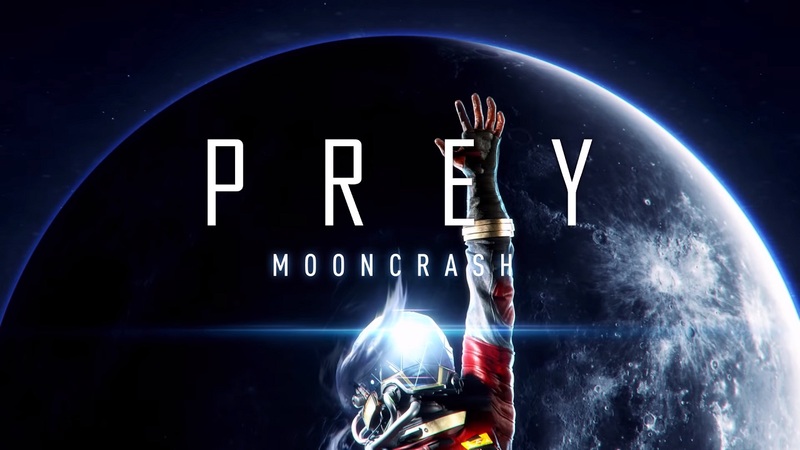 You can get the new patch free, the Mooncrash DLC for $20, or the entire Prey + DLC bundle for $40, which is quite a good deal. Now, onto the new Prey DLC. Mooncrash is exactly what the title notes. It’s a Groundhog’s Day scenario of sorts where you crash onto the moon and each time you do, you face enemies and challenges until you die (or escape), rinse and repeat. Each time the scenario is a bit different, with enemies moving around, items shifted, and more. Overall, it’s a fun little DLC. After playing a few rounds of it (and not doing so well) I did start to get a bit bored of the formula, but it’s a great idea for people who love the shooter games in arcades, where you play the same general scenario over and over to try and beat your own score (or progress) each time. It really does bring out the competitive nature if you pass the controller off with a friend as well. The new mode offers benefits for some upgrades and purchasing power. In the beginning, you have one character to use and pretty basic items. As you progress you can unlock up to five characters and buy more items that help negate the ever-counting timer (the Typhon Corruption, which always tries to end your run early). As you play, you begin with easy enemies and basic loot. As you power yourself up you begin to hit level 2, then 3 (up to 5) and the enemies get harder and harder. Level 5 seems to be represented by a skull, I never hit that, but I can only imagine it just means death. The ultimate end goal is to escape with every character. These characters do stay unlocked if you die, and you do keep some basic items like chips and money. Overall this new Prey DLC is quite fun, and I could really see people who have a competitive nature or love arcade games taking to it. Every scenario is slight to completely different, and there are enough rare loot and items to find each run to keep you trying new routes and tactics. If you were into Prey, and love time trial sort of modes with a bit of flair, $20 is a solid price for a DLC that can provide hours of gameplay. 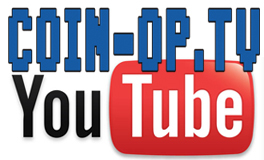 CJ STRIKE is a COIN-OP TV contributor for video & written content. CJ lives in The Cyclone State of Iowa where he is happily married and has two cats, Orion and Stormy. In his free time, CJ plays video games, watches sports (Iowa State Cyclones, Dallas Cowboys, Minnesota Timberwolves), and frequents online communities. In the past, CJ has been an official moderator for THQ, Microsoft (Xbox), and Deep Silver for franchises like Saint’s Row, Homefront, and Metro.